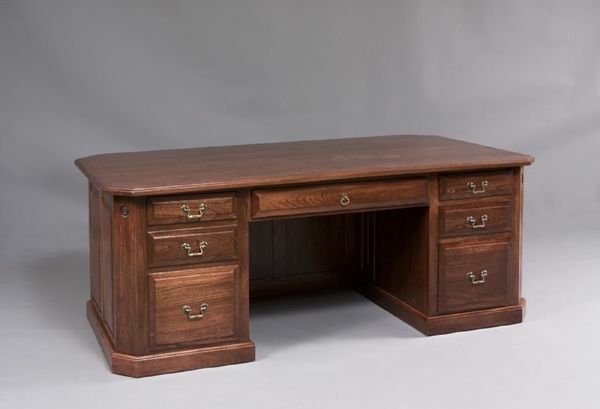 At 72" wide and 42" deep, this Canted Executive Computer Desk has one of the largest desk tops of any of our DutchCrafters desks offering plenty of work space for large projects. The overhanging top in the back was added to clients or co-workers can sit across from you and utilize the desk top as well. Select your wood and finish for a custom look to match your office decor.